Earlier this month, Dealstruck (www.dealstruck.com) debuted a new, crowdfunding marketplace with an interesting twist. Instead of equity, the company is aimed at profiting profitable small businesses with business debt funding from investors, to help those businesses grow and get to the next level. The San Diego firm is headed by Ethan Senturia, who sat down with us to tell us how Dealstruck is trying to help build small businesses and jobs--and also tells us a bit about what it's like to come from a family full of very successful, and high profile entrepreneurs, and how that has influenced his experience as an entrepreneur himself. Ethan Senturia: Dealstruck is trying to solve the problem of successful, growing, mid-sized companies. They face only two options for financing their companies with debt. Either, they go to a bank--and most banks just say no, or give them lots of friction and hassles with the process--or, they go to an alternative lender, using factoring or where rates are really high. We've created a marketplace that allows these business to instead access capital from individual and institutional investors, who get a return and also get to support small businesses in a way they couldn't do so before. The premise is to offer small businesses capital in meaningful amounts, over $50,000, for a longer period of time, two to five years, which allows them to grow their business and reach their full potential. Why did you decide to focus on debt, not equity? Ethan Senturia: There are a number of things, including my background. I studied finance, and worked on Wall Street as a credit analyst, so I understand debt better. The second thing, is the majority of small and medium sized businesses are not high growth businesses, are not exit-able, and not scalable. But, as they growth, they make money and can give back to the community and create jobs. Those aren't the kinds of companies where equity makes sense, or where an investor would want to own equity. But, those are the companies who are desperate for growth capital, don't have other options, and where we could have a massive impact. We also liked the idea that people would get repaid. I think there is something very encouraging and sustaining about getting income from an investment, and participating in a loan, and where you're paid immediately, rather than waiting for three to five years for a startup to hopefully exit, get to an IPO, or go raise more capital. This is really about seeing dollars put to good use, immediately, and getting a return from those dollars in that same time period. How'd you come up with the idea for the site? Ethan Senturia: It wasn't quite as orchestrated or planned as I wish I could say it was. It really came out of sitting around a table with my faily, and my father asking me to be on a panel about crowdfunding. I started doing research on his behalf, learning about it, and one thing led to another, and I started asking people if such a service existed, would they use it. Enough people said yes, and I thought about building the company. I kind of fell into it, after a period of diligence on the idea, and realizing it was a big opportunity. It also fit my background, which is finance, both from the academic side as well as a little of Wall Street. I also had built an Internet marketing company prior to Dealstruck. This was a combination of finance and practical knowledge of the Internet marketing business, and it seemed to fit well with what we were trying to do. Have you run into any regulatory issues providing funding like this? Ethan Senturia: There are certainly issues and real legal barrier to entry here, but we took the time and effort to get a structure that works in the existing construct of rules, and with where we're in the market today. Some of the things the government is considering--the JOBS Act, and other changes to private placement rules, could help us make life easier and further enable the platform and the whole industry to scale more broadly, but we're in business and following all the laws we need to today. What's the process of getting a loan, and how does it work? Ethan Senturia: If you're a company, you can come to our site, give us a call, or shoot us an email. We have real people here. The site itself is the most efficient way to create a request. You answer some questions, create an account, and give information about your business You can then submit an application, and someone on our credit team will reach out to you, learn more about your business, gather documents, and check to make sure you're eligible. Once you're approved, you can create a deal page or profile page to showcase your business to investors on our site, and give them insight into what your business does. You can show them what your growth is like, give them a financial summary, and they can interact with you. That page gets posted, much like a listing on eBay, to investors, who can browse the marketplace, and in a few simple clicks participate in loans that interest them. You come from an interesting family of entrepreneurs -- your father and stepmother are both successful entrepreneurs in their own right. Did that influence you to launch your own company? (Editor's note: Ethan's father is Neil Senturia of Blackbird Ventures, who has a long record of successful companies--Quanlight, Soflinx, Mohomine, Atcom/Info; his stepmom is Barbara Bry, who was a co-founder of Proflowers, and also co-founded Atcom). Ethan Senturia: By the time I was eight years old, I was already spending time in my father's office when he was running startups. That gave me the idea that starting a company could be exciting, and I saw how everyone there was always glad to be at work. It was something very accessible, and I guess I grew up thinking it's not a big crazy thing to start a company, and instead that it's the norm. I saw my father do that with a variety of successes, and a variety of failures. That said, I didn't necessarily know it was the thing I wanted to do. I actually headed off to Wall Street thinking I wanted to be a bond trader for the rest of my life, but shortly decided it wasn't for me. My first professional experience was with a colleage from school, Ampush Media. It's pretty successful and continues on today. I really felt at home here in startups, solving problems, and getting things off the group. It's great to have a support system of your family, that understand what it means to be an entrepreneur. I didn't have to face any of that "why didn't you become a doctor" stuff you would expect to hear. I also put in a plug that my sister, who is a scientist, also got the entrepreneurial bug--she recently started her own company, as a sock manufacturer, for science and technology themed socks. It's not full time, but there is something entrepreneurial in our genes. In her case, she loved having cool designs on socks, and also loved science literacy, so she started a company a year ago called Stemsocks (www.stemsocks.com), with crazy designs like phases of the moon, morse code, DNA, and so on. I think it's cool that my sister and I both have entrepreneurial things going on. Do you ever feel like you have to compete to reach similar success of what members of your family have been able to do? Ethan Senturia: Certainly, from the top down, it's all support. Both my stepmom and my dad have been very supportive. They've had far more success than my sister and I, certainly. But, anyone crazy enough to start a company is already very self-motivated, has their own high standards and pressure to success and thrive and excel, all internally. Certainly, when you look at my family, and the role models they provide with their success, you do feel like you have to live up to that, but it's more motivating and inspiring. All entrepreneurs put pressure on yourself, because it helps them persevere. What's the big goal now for Dealstruck? 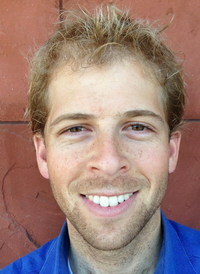 Ethan Senturia: It' sbeen great the past week, launching into the marketplace, and putting a stake in the ground. The goal, looking out over whatever number of years, is to become the go-to place for small business financing, and where small business owners know we stand for fairness, and transparency. It won't happen overnight, but we think there's a lot of exciting opportunities to help us achieve that goal.